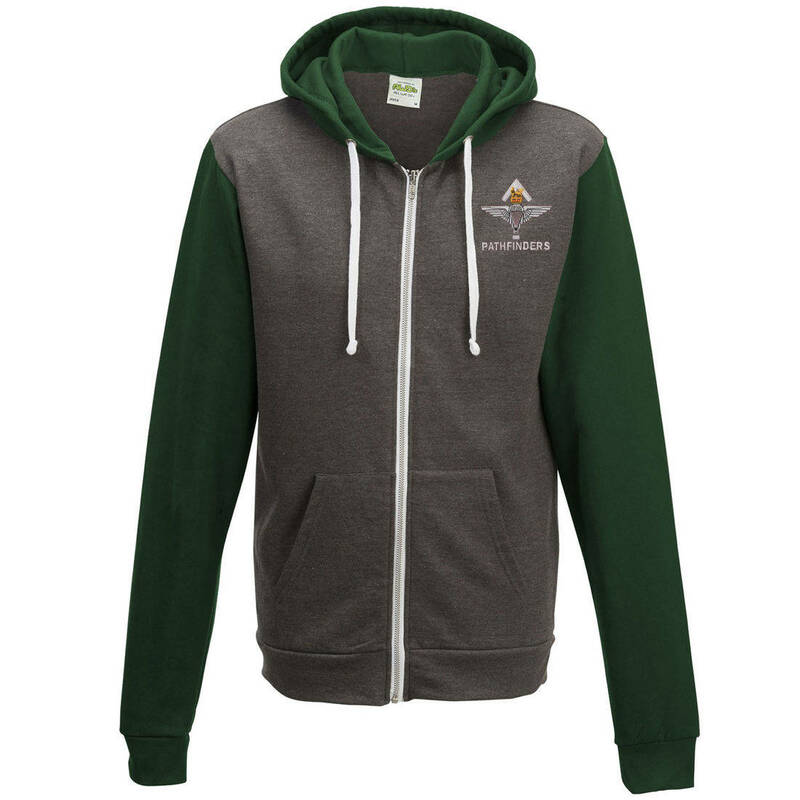 Zip-up hooded sweatshirt featuring a charcoal grey body and your choice of battalion colours on the arms and hood. White zip and drawcords. Features pockets on the front.